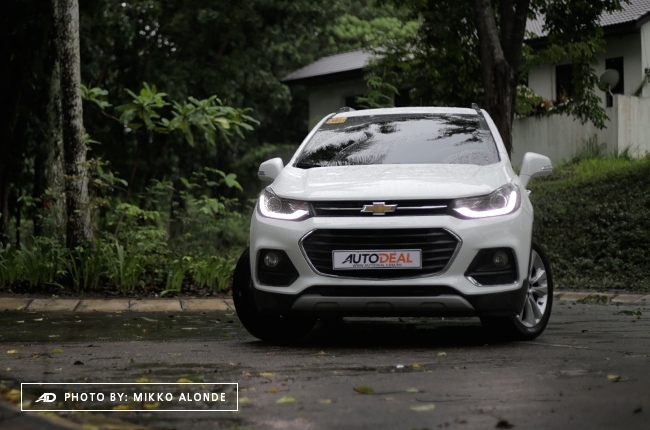 One can’t deny the fact that subcompact crossovers have rapidly earned the attention of car buyers since the segment got introduced in the Philippines. We see a lot of them every day, as brands try to market them to the younger, more adventurous generation. 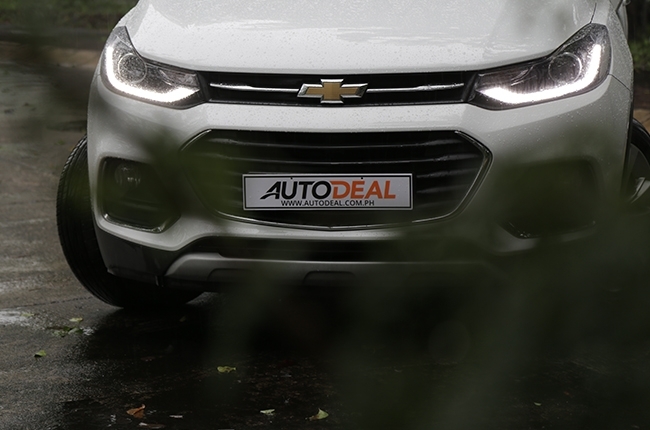 However, I bet most people aren't aware that Chevrolet is also present in the segment – trust me, most of my friends told me it's their first time to see and hear about it. I'm talking about the Trax and, honestly, it looks way cooler than some of the more popular nameplates in its class. 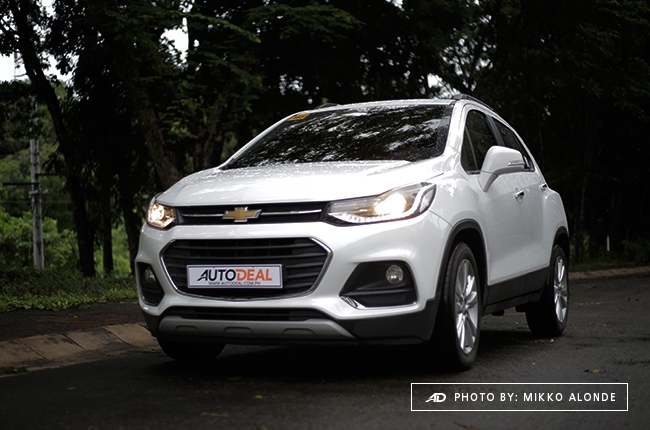 When I saw it after Chevrolet introduced it at the Manila International Auto Show 2017, I knew it would tightly compete. Surprisingly, even after a year, I have seen few of this car on the road. I was puzzled and I needed to know what's up. 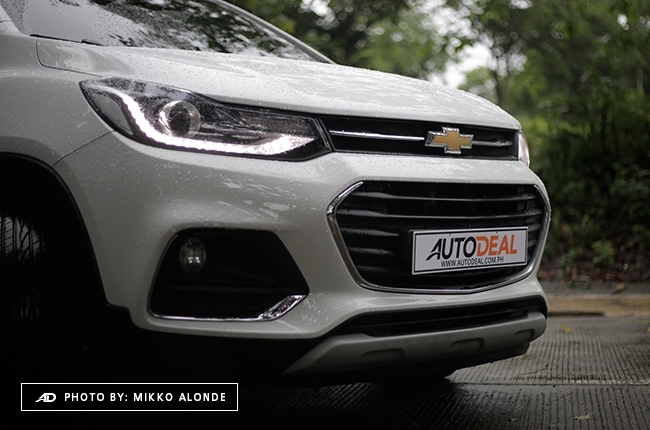 Luckily, I won't have to ask questions anymore as Chevrolet Philippines lent me the top-range Trax 1.4 LT AT. Apple CarPlay and Android Auto capability. 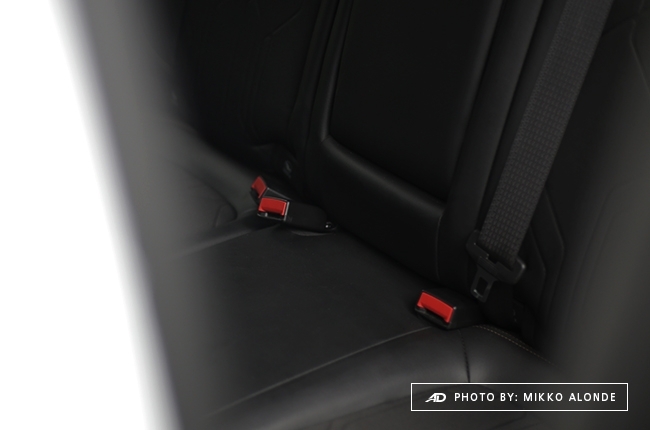 Surrounds you with six airbags for optimum safety. 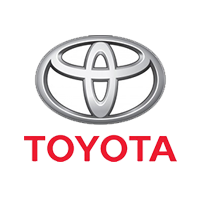 Delay when flooring the accelerator pedal. Could get bouncy on bumps. A bit pricier compared to other rivals. I like how the Trax carries the current look on the bowtie brand's current lineup. 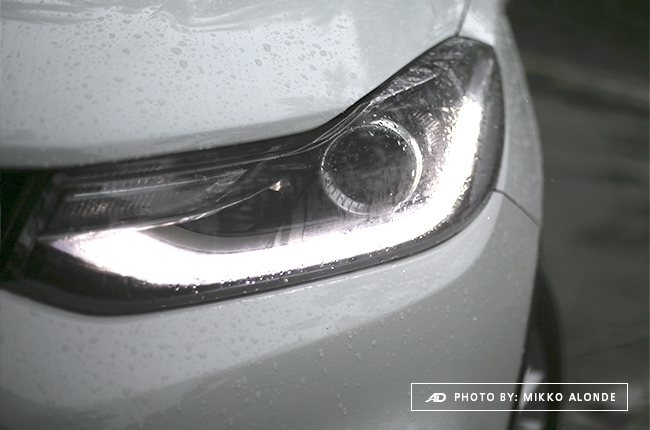 The sweptback headlights with daytime running lights (DRL) are a personal favorite as they make the car look more serious. I know 'serious' defeats the purpose of subcompact crossovers' fun-to-drive reputation. To tell you frankly, Trax wouldn't live up to that expectation. But, what it lacks in youth, it lives up in other aspects, such as technology. 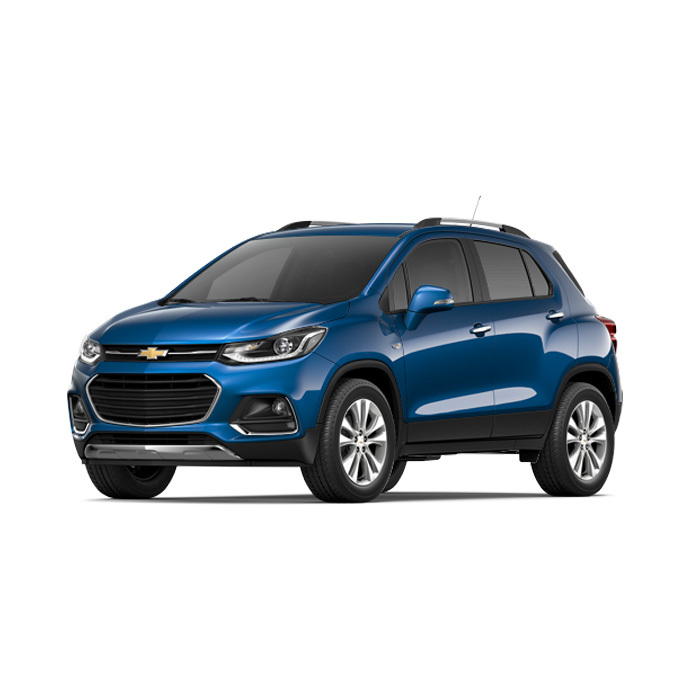 Before I delve deeper into its convenience and safety features, I would like to point out how well Chevrolet re-sculpted the 2017 Trax. I was never a fan of its predecessor basically because it came short of flavor. It was just last year when I had the change of heart, right after seeing the new model. 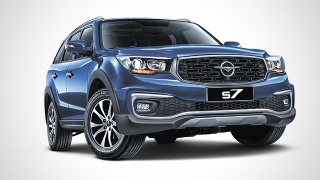 The hexagonal grille—which looks like heptagonal because of the crease on the fascia—as well as the large air vents made it look sportier. What sets me off, though, is it appears that they didn't spend time tweaking the rear, especially the taillights. I don't like how it looks from behind, maybe because I find it unsupportive to the fascia, which is fierce to begin with, especially with the DRL. Side profile is okay; it has the sloping roofline. 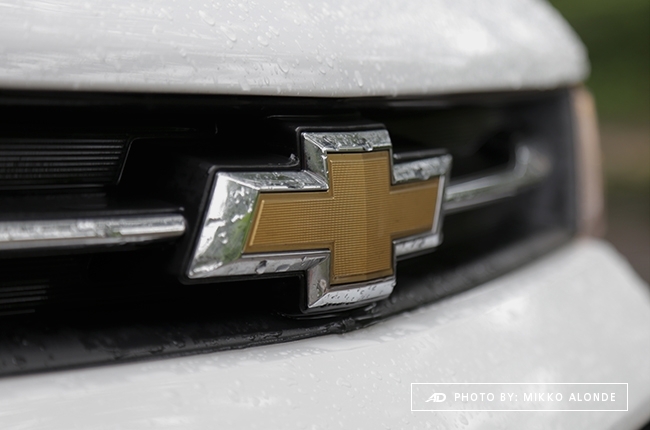 Oh, one more thing, I also don’t find excessive chrome on cars alluring and props to Chevrolet for sticking just the right amount of chrome accents on the exterior – very much appreciated. 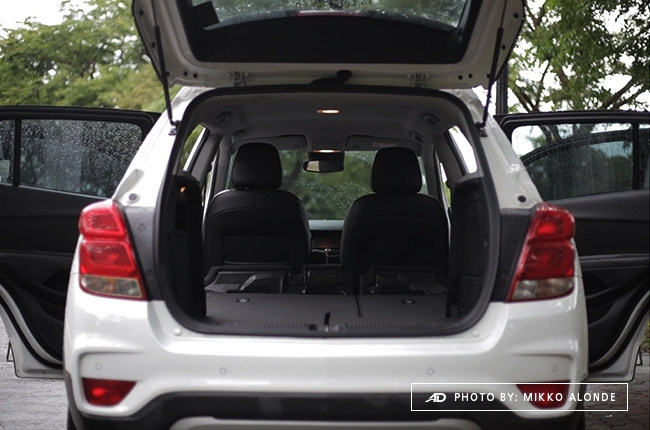 When it comes to neat interiors, include the Trax on the list. 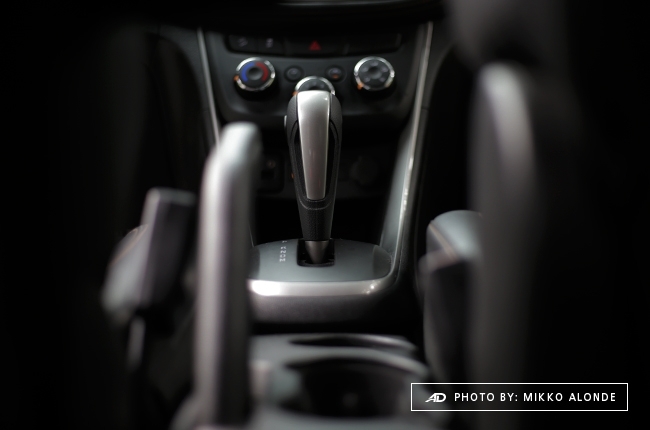 The cabin is so simple, yet you get the feeling of completeness as you drive it. There's this sense of clarity when it comes to the buttons and dials, partly because there's just a few of them. 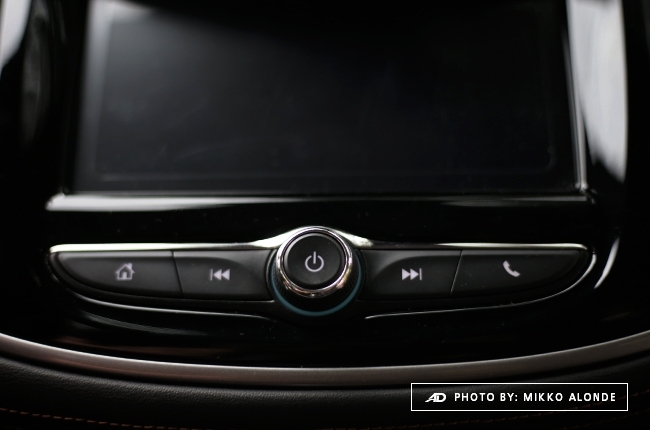 You get three large dials that controls the temperature, power, and circulation on the center console. 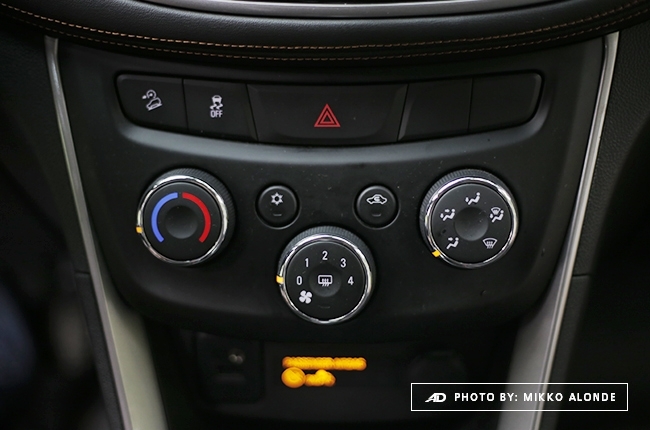 Apart from that, there's the hazard signal switch, hill-descent control, traction control button, and two unassigned buttons just below the multimedia unit. On top of ergonomics, the cabin is clothed in leather with orange stitches, which adds a touch of sportiness in the cabin. 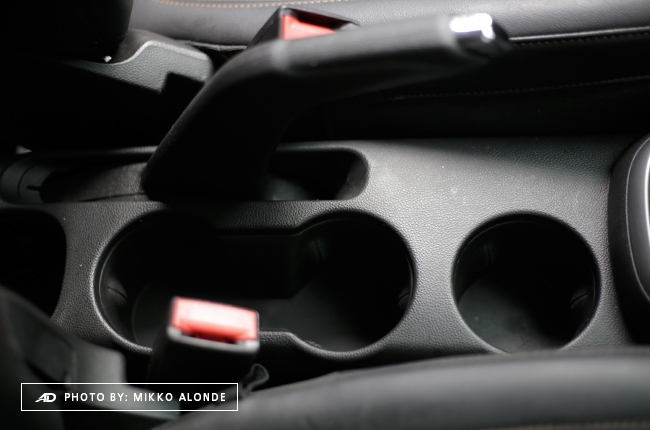 There's a deep coin box in front of the gear stick, three cup holders on the center console, ample glove box, and a narrow front door pocket for storage, which were enough for me. 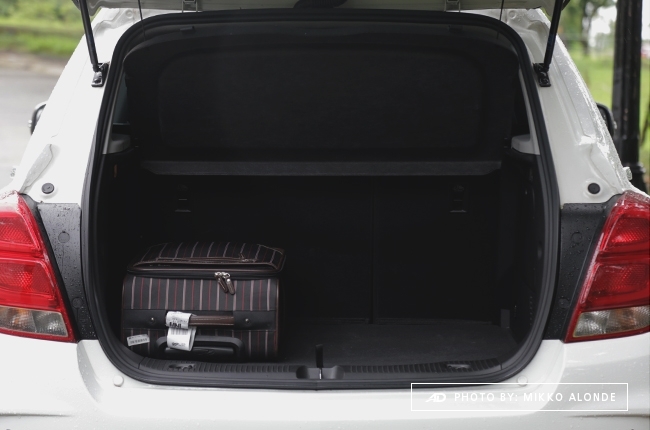 Besides, I barely bring a cup of coffee when I drive and that gave me more room to place my belongings in. I've had times when I had to stare at the instrument panels of some cars for a while in able to get used to it. Thankfully, Chevrolet is generous enough to equip the Trax with easy-to-understand instrument cluster, complete with all the necessary information. 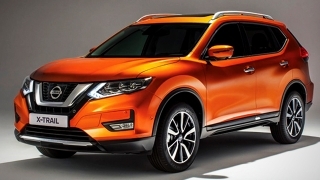 Apart from the analog gauges, the small digital screen on the lower right displays the speed, trip meter, range, fuel economy, and tire pressure monitoring, which you may access by flicking the head of the turn signal stick. Surprisingly, it has just the right size so it didn’t make the instrument panel look cluttered. Another thing I do like about the car is the seven-inch MyLink touchscreen that comes with Apple CarPlay and Android Auto capability. You wouldn't need to worry about the hassles of having to do so much when all you wanted to happen is to play a good music on the road, just plug your phone in using a USB cord. 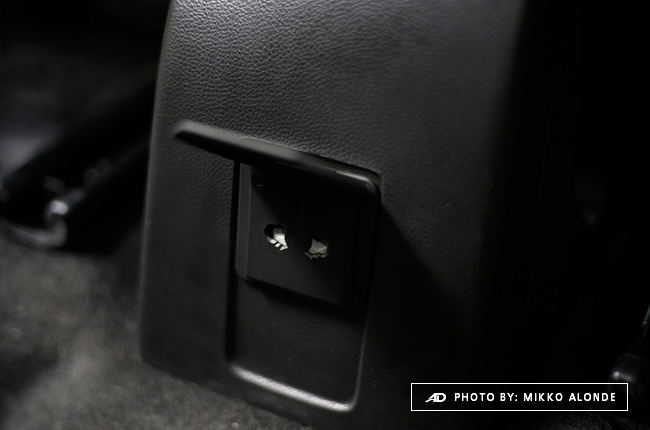 There is also a 230-volt socket for rear passengers so they could charge their gadgets, too. Now, no matter how tall or small you are, the height-adjustable driver seat will negate any uncomfortable seating position. The steering wheel could also be easily tilted according to your preference, which, in my case, was helpful as I am short. On the other hand, the rear has a great legroom, as a 5’7”-tall friend of mine had no issues sitting at the back. 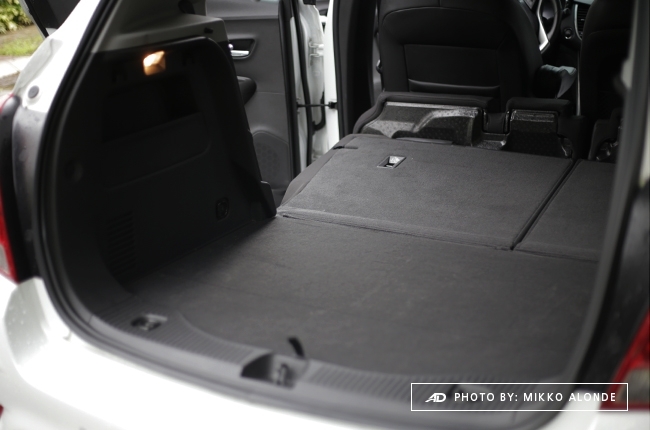 Rear seats can be toppled flat, with 60:40 split configuration, to allow more room for cargo – though it already has a considerably big one on the rear. 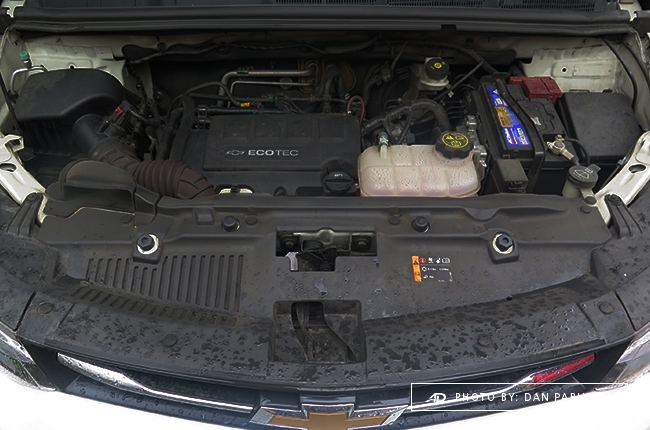 When it comes to its engine, you'll still find the familiar 1.4L turbocharged engine from the previous Trax. 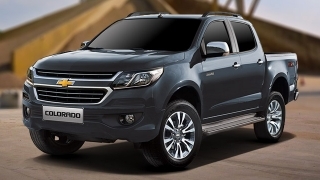 I couldn't help but compare it to the Ford EcoSport on this aspect, as it is its closest rival in terms of engine size and dimensions. 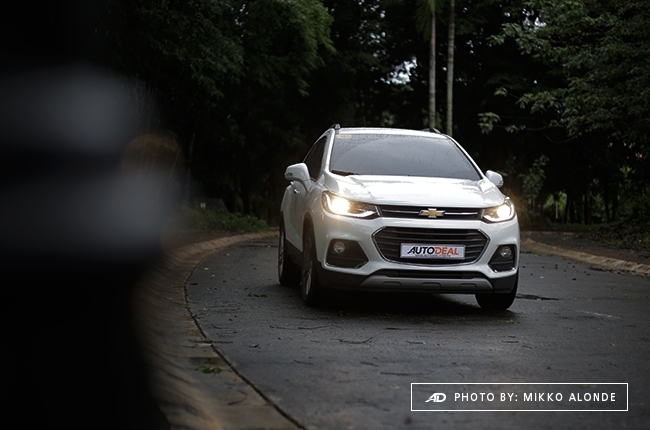 The rival has a larger engine, which is at 1.5L, yet is far less powerful when compared to the Trax. 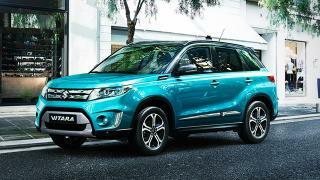 With the bowtie-bearing subcompact crossover, you get 142 hp and 200 Nm of torque, which is quite above the EcoSport’s 110 hp and 142 Nm of torque. 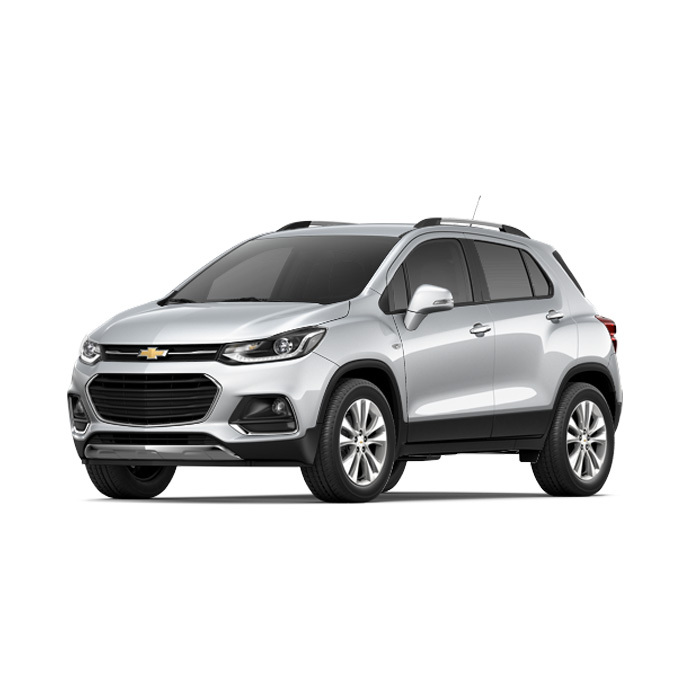 Although there's a bit of a delay when you floor the gas pedal, the Trax still gives substantial acceleration over the cost of a minimal engine roar. How thrifty it is, though, depends on how aggressive of a driver you are. This goes to other cars, as fuel economy varies on how strict you are with your RPM. The Trax’s transmission, however, shifts gear at lower rpm so driving in the city at maintained speed will give you a better fuel efficiency. 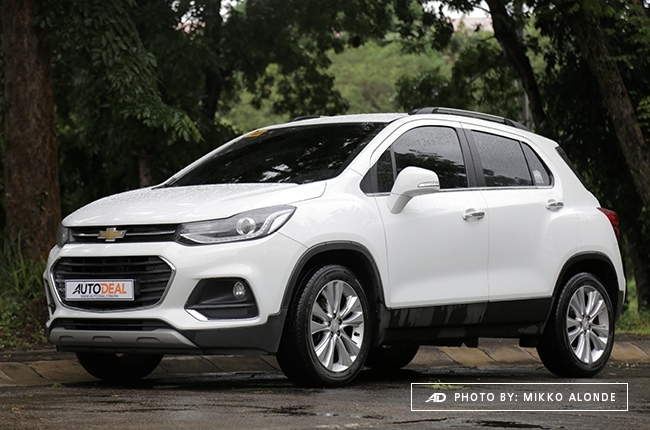 For the entire time I spent with the Trax, the fuel economy reading was okay. Driving on heavy city traffic with an average speed of 15 km/h gave me a reading of 8.6 km/L, while an average 50 km/h run read 10.2 km/L. Going on with an average speed of 90 km/h, though, was a little tricky due to the non-stop rain the entire time I had with the Trax. With that, a short run at the South Luzon Expressway gave me a 15.2 km/L reading – still, not bad. However, I do need to tell you to tame down your speed whenever you're approaching a curve, especially when entering or exiting a toll gate. 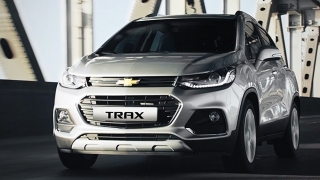 The Trax's suspension system, despite its low 158mm ground clearance, isn't optimal at sharp turns, so expect that the car will slightly throw you and your passenger whenever you pass through a curve at 40 km/h and above. One more thing about its suspension is I had some bitter times dealing with unexpected road dilapidations, as the vehicle bounces easily even on little bumps. 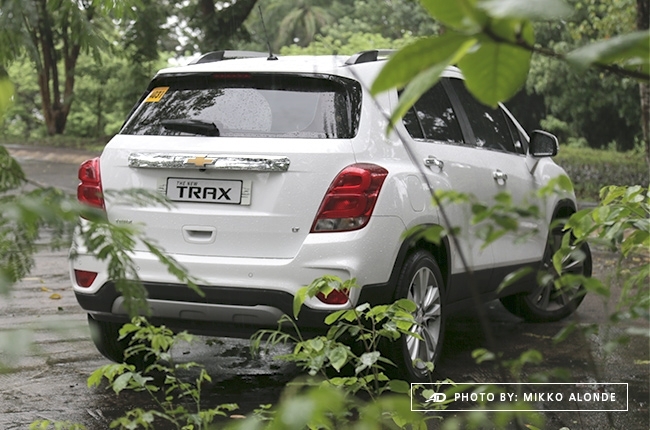 Both variants of the Trax use a six-speed automatic transmission with Active Select Manual Mode. 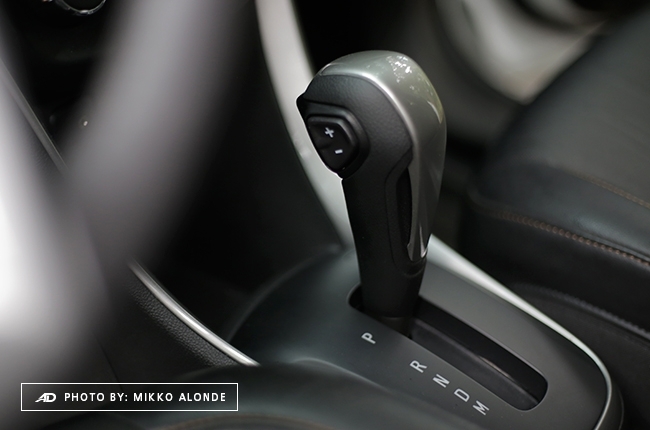 The transmission shift pretty smooth, may not be a wow-er, but you could always use the Active Select Manual mode using your thumb. Yup, it has the thumb switch on the shift knob so good luck with that. Safety-wise, you wouldn't have much worries when you're inside the Trax. 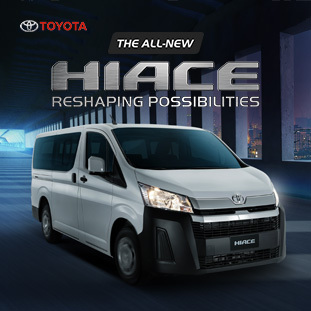 It has six airbags that surrounds you and your passengers. 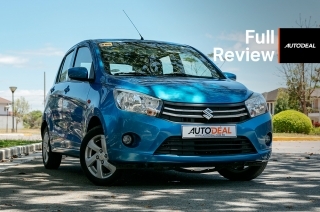 Bringing an infant wouldn't be a problem, too, as it comes with ISOFIX anchorages. Also, you’d surely have a great time parking in reverse (if you find it hard to) because this variant comes standard with a reverse parking camera aside from it having rear parking sensors. 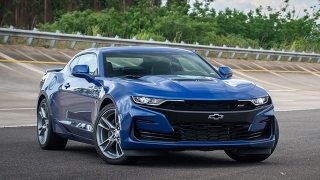 And, as mentioned earlier, the car features traction and hill-descent control. 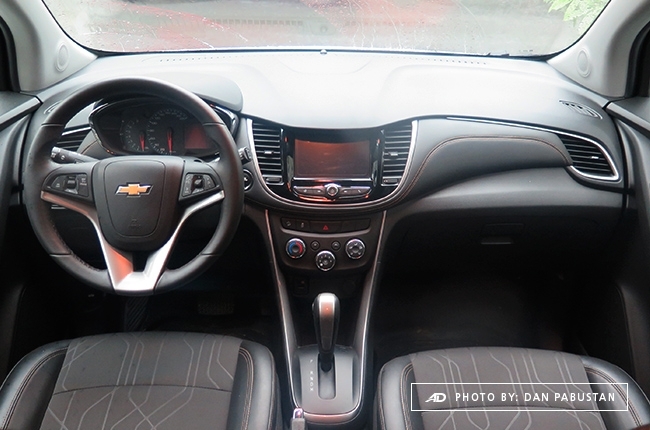 For convenience, Chevrolet equipped the Trax with passive keyless entry system. 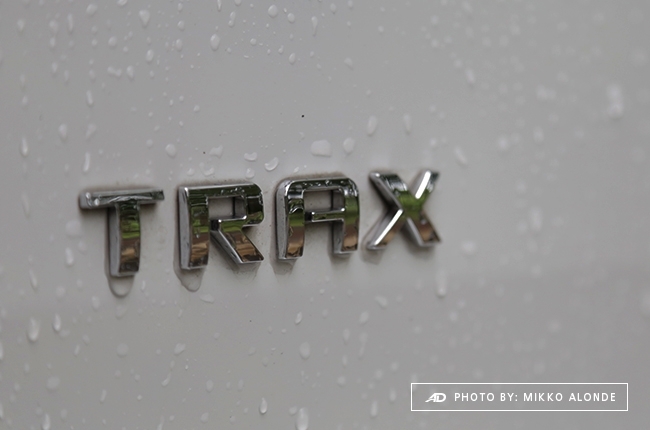 The Trax may not be a dominating nameplate in its class. 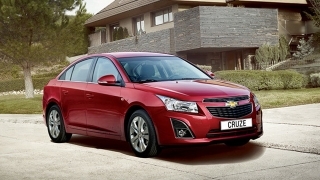 But, with its muscular appeal, fleet of features, and underrated roominess, I’d have to consider including it on my list. After all, I enjoyed driving it on wet roads, what more in a sunny day with the wipers down and resting. The great time I spent with it wouldn't answer the question on how it doesn't locally sell as good as its rivals. However, I do know for a fact that you really can't impress everyone. There are blank spaces you can't fill in all at once and that's just fine. I assure you, the Trax may lack points on some areas but it did live up on the other parts. One thing that I find odd with the Trax is its price, which could be one of the main reasons why some car buyers try to avoid it. At P1,535,888, the 1.4 LT AT is a little pricey as you can have the top range Ford EcoSport at a much lower price. However, you’d find yourself inside a car with less features so it's a matter of weighing down your priorities, I guess. 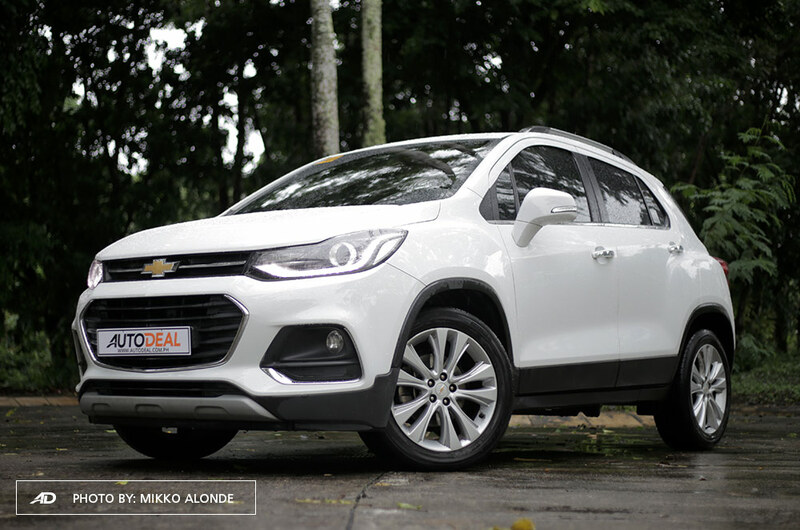 Hi, I would like to receive a financing quote for the Chevrolet Trax 1.4 LT AT, thank you.